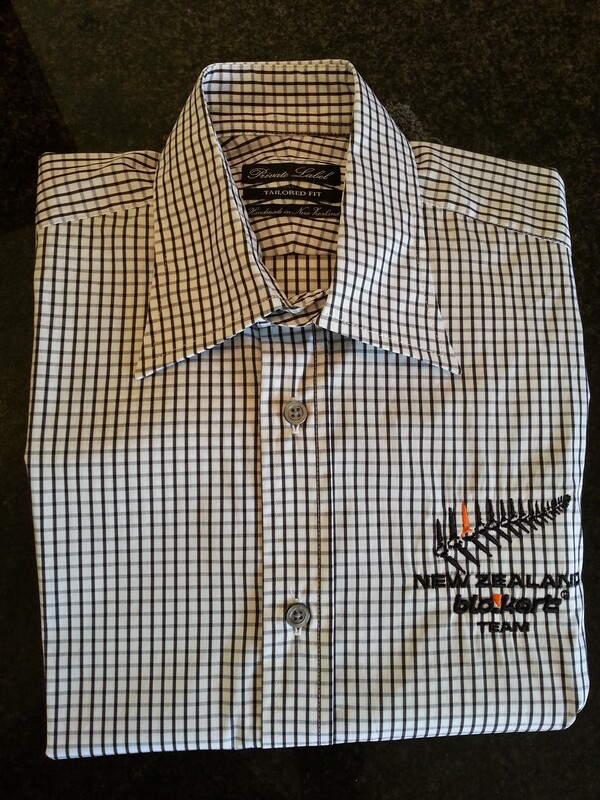 Tailored short sleeve dress shirt. These tailored dress shirts, made in New Zealand are intended to be worn at events such as the worlds meet & greet and the worlds presentation dinners. 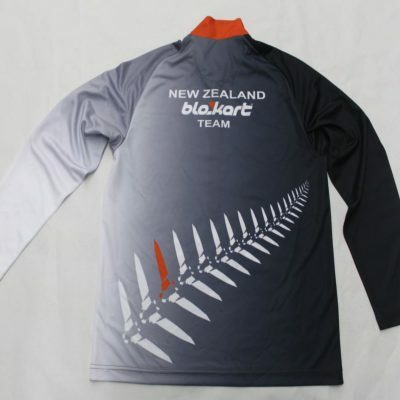 The front logo is the BAI fern with “New Zealand Blokart Team”. 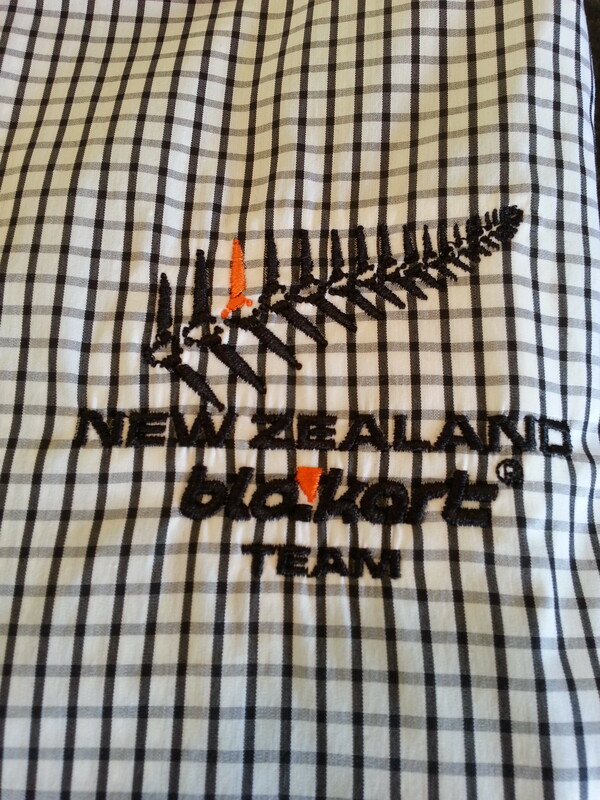 They are made out of a quality fabric that is 73% Egyptian Cotton, 23% Nylon and 4% Elastane . 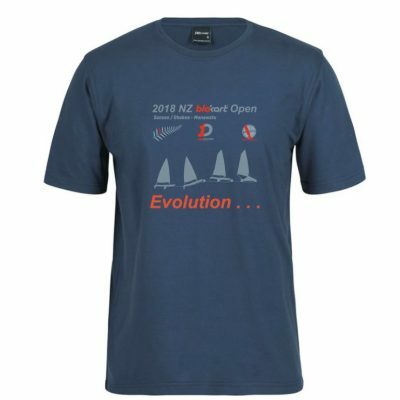 Only Standard Mens sizes are available: 38(S), 40(M), 41, 42(L), and 44(XL).